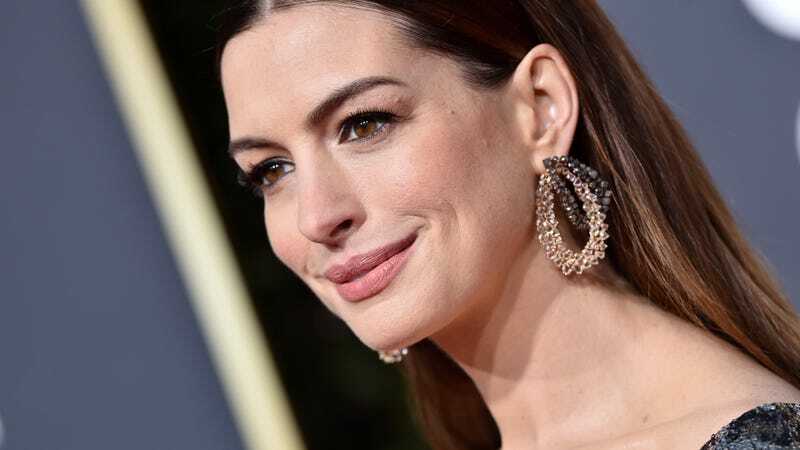 Prepared, at last, to ascend from cinematic princess to her throne as the new queen of modern children’s nightmares, Variety reports that Anne Hathaway has signed on for a starring role as the Grand High Witch in Robert Zemeckis’ upcoming adaptation of The Witches. Hathaway has been tentatively attached to the project for a while now, but was struggling to juggle her schedule with the upcoming Sesame Street movie; apparently she’s now found a little time for some cackling, magnificently attired evil among all that wholesome puppetry and music. Hathaway has some big, toeless shoes to fill here, though. (Witches in Roald Dahl’s original book don’t have toes, you see. Everybody else obsessively read Roald Dahl books when they were kids, right?) Anjelica Huston played the role of the planet’s top supernatural child murderer back in 1990, starring in Nicolas Roeg’s adaptation of Dahl’s book. Dahl supposedly hated that version, but it’s hard to fault Huston’s velvety evil performance, instilling a whole generation of kids with a bone-deep fear of snakes, chocolate, and Anjelica Huston. Now it’s Hathaway’s time to shine, taking on the first real heel turn of her career. (Her character in Rachel Getting Married had her faults, admittedly, but they stopped well short of “transforming all of Earth’s children into mice so that their parents will chop them to bits with cleavers.”) Zemeckis—fresh off the mawkish Welcome To Marwen—is set to write and direct the movie, with an eye toward a more faithful take on Dahl’s original material. Alfonso Cuaron and Guillermo del Toro will also produce.